Here is a beautiful 1989 Sea Ray bow rider available as a complete turn key ready to go boat. Being 25 years old should not scare you when you hear all that is offered on this boat and has been done to keep it up. So lets start with the interior and as the pictures show its excellent condition, having mostly original upholstery throughout. The original cushions are all still soft and supple as should be for a well cared for boat. The rear seats however have been redone as one of the jump seats was missing when I got the boat so my upholstery shop made 2 new ones as well as recovered the top one on the engine cover and rear storage hatch. The downfall to these early boats was the wood rotted before anything else happened and this had that problem with the motor cover. it has been completely rebuilt with new wood and all glassed in and sound attenuated better than new. You can hold a conversation in boat at normal cruise without an issue of hearing. The rear floor was buckled a little so I redid the fastening of it along with a new piece also installed over the gas tank. all custom made and resin encapsulated. floors are very solid all around and all the bases have been remade as well Into the floor with glassed in anchors where applicable. The rear section is recarpeted to match and piece of carpet will be supplied to do front although I am not sure if its big enough to do all. but its easy to obtain another piece. I have new blocks also made for the rear jump seats that go on the motor house and sides so cushions can be raised up as a sun pad, they need covering and assembly to be right. you can see the area left vacant in the pictures where they go. easy finish up to accomplish. The boat comes with a bimini top as seen bow cover, and rear cover to make weather tight, and a winter cover as well for storage. When the floor was out over gas tank the tank was checked all brackets that hold redone and fastened and new supporting cushions installed as well. all the old original fuel hoses have also been replaced and the duel filter relocated so its easy to change now without dissecting half the boat. A dual battery system also has been installed with switch to select which battery is used. This year a complete new instrumentation was also installed as you can see bright sea ray Teleflex gauges, the hour meter is now in tach as ell and boat just had 25 hours of use in NH on lake trouble free and not a drop of oil used. total hours on boat are 629 showing on the factory hour meter but I am not sure if that's since engine replacement or the boat since origination itself. Speaking of that, the engine and drive were replaced in 2006 according to the person I purchased from and both being replaced at that time. The engine is B drive 250 hp mercruiser 5.7 2 bl carb unit and the serial indicates a build date of 2002, so I assume if all correct, this engine layed around awhile before an installation. I have had the dry joint manifolds checked and all are good condition with lots of life left. Motor has had complete ignition service, wires of course oil changes and new raw water pump installed this year. motor functions perfect. The drive was also serviced this year with new shifter cable, and boot, serviced and new water pump. It had a bellows replacement 2 years ago as well. all else is believed to be right up to snuff. the shifter was also rebuilt and the boat comes with a spare shifter control unit as well. The prop is a stainless steel unit as well and in good shape. runs like a top, burns between 3 and 5 gallons an hour depending on usage. easily cruises at 30 mph at 3000 rpm. Oh the trim switches were also replaced and upgraded as well so that all works correct to. A new radio and speakers were installed this years as well and works great and has remote and small amp. The trailer is a 1990 load rite roller trailer rated for I think 5500 pounds. it is in near perfect condition, the wheels and tires were new when I picked this boat up in NJ. have maybe 3 trips to nh and a few local so would say max 1200 miles on them for use. all the carriages have been disassembled cleaned and lubed and are free and floating as they should. the entire trailer has all the rollers and sleeves replaces and all new hog rings for those that ere bad as well as many new bolts. this boat will go off with a virtual light push and if the ramp is sloped goes by itself its that free and easy to get on and off. all the bearings were just replaced and correct bearing buddies added as well, has sealed lights and all work correctly and the rear member has been replaced on the trailer too! the only thing not done is repair the brake system, there is none other than the original master cylinder, no lines backing plates or anything. I have found not needed even towing with a half ton pickup and I have locally towed this with a Sonoma pickup with no problems at all. it may not be legal in all states without the brakes. Just an fyi. everyone always asks so what does it need, so here it is, the trailer the brakes only if want. the boat itself someday should have the bottom paint removed and then refinish smooth, I have not done anything wit hit in the 3 years I owned and it has been wearing off slowly, you might want to redo the front section of carpet to match the rear, and maybe reglue the ski locker carpet as it has come loose. always wet in there. may be better off without a personal call, need to fix the rear seat sun pad brackets if wanted to use them, materials are included except the vinyl. and if you are real particular might want to replace the windshield gasket at some point. pretty much all I can think off but if see something I missed ask away. Boat comes with all life jackets, covers as indicated, paddle, fire extinguisher, numerous dock lines, 2 anchors one of which is a new Danforth style, 4 bumpers and multiple docking lines, Lets go Boating !!!! shes ready to go This is a best offer style auction and still costs money to do. Please respect that and follow all the ebay rules that apply. I reserve the right to end auction as boat is available for sale locally as well. There is no express or implied warranty included in the sale and representation is the best of my ability to represent the boat fairly. I answer all e-mails through e-bay Please don't bid if your wife doesn't want or grandpa stole the piggy bank on you. I am upgrading to a different style as the family grows. Someone will be getting a nice starter boat for short money and all the work is done. Good Luck bidding Shipping and or pickup will be purchasers responsibility, I will work with buyer as needed. trailer is road ready for anywhere. I reserve right to remove at anytime due to local sale and or prior committed sale. 1956 Classic Grumman 14' Runabout Inboard Fageol "44"
Model 14' Runabout Inboard Fageol "44"
This is a 1956 GRUMMAN 14" Runabout powered with the original 1956 FAGEOL model 44, 40 HP inboard engine. This was the "Captains Tender" on the Motor Ship Mount Washington on lake Winnipesaukee from 1956 to 2009, when the Mt. Washington was repowered. At that time the tender was replaced. I'm not completely sure as to where it was before I acquired it. However the engine had been to a machine shop and had hardened valve seats installed in the engine. The engine had been re-installed in the boat and never set up. I set it up according to the manufacturers guide lines from the original manual. (see pix) I don't believe this boat has ever been tagged. I'm not sure it was ever used as there are no nav lights, pumps, or blowers. No holes in the dash save for the steering helm and key switch panel. No holes in the hull ever for any accessories. What is there works well. This boat comes with the trailer shown in the pix. It's not great, but road worthy. Boat is located in Moultonborough, NH. I may deliver less than 100 miles for a fee or you can pick it up here. NO shipping. The cast aluminum bow handle has been modified for the davit hook that this boat spent most of it's life suspended from. I will get a picture soon. I am happy to take serious buyers for a test drive on Winnipesaukee. This boat has never had ethanol laden fuel in it. I use only non-ethanol fuels. 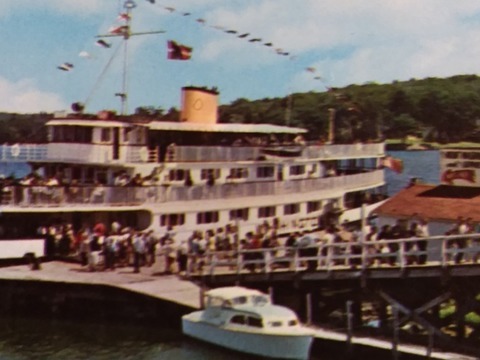 Look closely at the late 50's early 60's photos of the M/S Mt. Washington and you will see the Grumman hanging from the davits mid ship and high. 1981 Bayliner 3250 Conquest For sale is a 1982 Bayliner 3250 Conquest. This 11' wide boat gives ample room to spread out. From the deck, you will go down into the salon with seating to the starboard side and galley to the port. Forward, an enclosed stateroom, with additional sleeping in the rear. Not many boats give this much space for you and your guests. This was made for bringing extra people on board and enjoying the day out on the water or the weekend at the beach. Twin 5.7L engines will make sure you're one of the first ones to arrive too. Call about this boat today! 2017 Sabre 42 Salon Express OUR TRADE is a very lightly used 2017 Sabre 42' Salon Express. She has only 105 hours on her Volvo D6 435 hp diesel engines (the preferred engine package for this boat) which are coupled to the Volvo IPS 600 pod drive system. She is FAST with a top speed of 36 knots, and an easy 30 plus knot cruise. She is fully loaded with extras including a SureShade extendable cockpit shading system, underwater lights, full Garmin electronics package including a FLIR night-vision system, SAT TV plus "dummy dome," Sirius Satellite Weather, upgraded Interceptor type trim tabs, custom exterior canvas package with two windshields covers (one blackout cover and one mesh cover- never even used), OceanAir blinds, additional cockpit seating, block heaters (not a factory option! ), Volvo DPS (aka "SKYHOOK"), and so much more! Never even slept in, this beautiful boat is available for far less than new. Transferable engine warranties are included. Currently docked at the Cavalier Yacht Club in Virginia Beach, VA. Original owner is moving into a larger Sabre which is why this incredible boat is available. Call listing agent for further details. 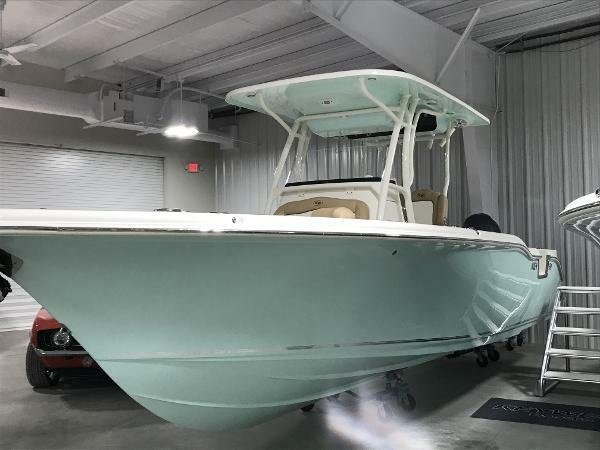 2019 Sea Pro 259 Deep V Series, Dealer Demo Low Hours!! This manufacture will not let us advertise price. SAVE OVER $20,000 DURING THE MONTH OF APRILSea Pro 259 Deep V Series 25' Offshore Center Console Loaded ~ Spring Clearance Event - Save Now Through the End of the Month ~***Be sure to check out the video. The video from Boating Magazine for Boat Buyers Guide is this 259 we have for sale and ready for delivery today!! How exciting for you to be the owner of the same boat in their video!Added Options: Twin Suzuki 200hp Black 4-Stroke Outboards with 6 years of warranty ask for details Gimme Six Promo, Hull Color Shark Skin, Fiberglass LP x/ 2nd livewell and tackle center, Llebroc Chairs, Café Brown Upholstery, Auto Leveling Trim Tabs, Underwater Lights, Helm Pad, S/S Flush Mount Rod Holders, Removable Table/Bow Filler, Complete Bolster Pkg., Pump-out Head w/discharge, Misters Cooling System, Power Steering, Side Entry Door Dive Ladder, Stainless Steal Phone Holder, Forward Seating Removable Backrest, Amertrail tandem axle Trailer w/brakes and standard equipment for 2019 259 Deep V Series. ***Be sure to check out the video. The video from Boating Magazine for Boat Buyers Guide is this 259 we have for sale and ready for delivery today!! How exciting for you to be the owner of the same boat in their video! This classic Pacemaker 38 appears in much better condition than expected. 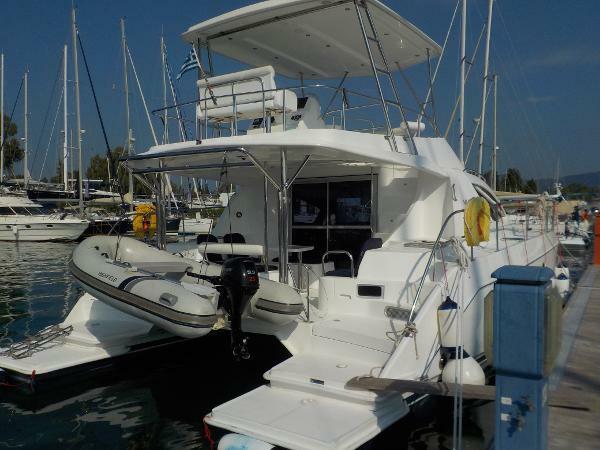 Seller is a marine mechanic & reports all systems in good working order. Be sure to take a look at the picture galley to see all the recent work on props, rudders, shafts. The hull bottom was stripped and epoxy sealed, California approved non-copper anti-fouling bottom paint applied. Both engines are in working order and all running gear is in good shape. Two windows panes in the cabin windshield are cracked but do not leak. 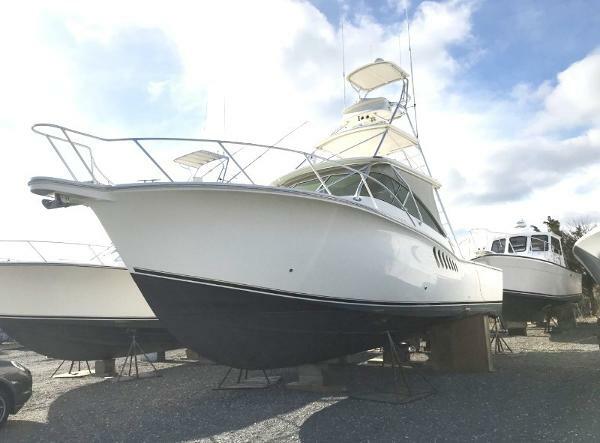 Stock #161556 Upper & lower helm station, twin V8 330 hp gas engines, Onan generator, full galley & MORE!! If you are in the market for an aft cabin, look no further than this 1970 Pacemaker 38 Aft Cabin, just reduced to $15,000 (offers encouraged). This vessel is located in San Diego, California and is in great condition. She is also equipped with twin Marine Power engines that have 1,783 hours. Reason for selling is retiring from boating.. The boat is impressive to see with the color combinations and the dual power poles. Looks sleek and fast even sitting on the trailer. You would not guess the age as it still has a shiny gel coat. The boat has been under cover most of its life. Current owner has had it all but the first year. He has kept it in a guarded storage facility. Professional maintenance team utilized by this very busy businessman for every need. The owner has directed his Mechanic to go through everything to be sure everything is working as expected. He stated that his intention is to deliver a boat in good working order. Stock #168762 25 Extreme powered by a 2012 Yamaha 250 SHO (383 Hours)! 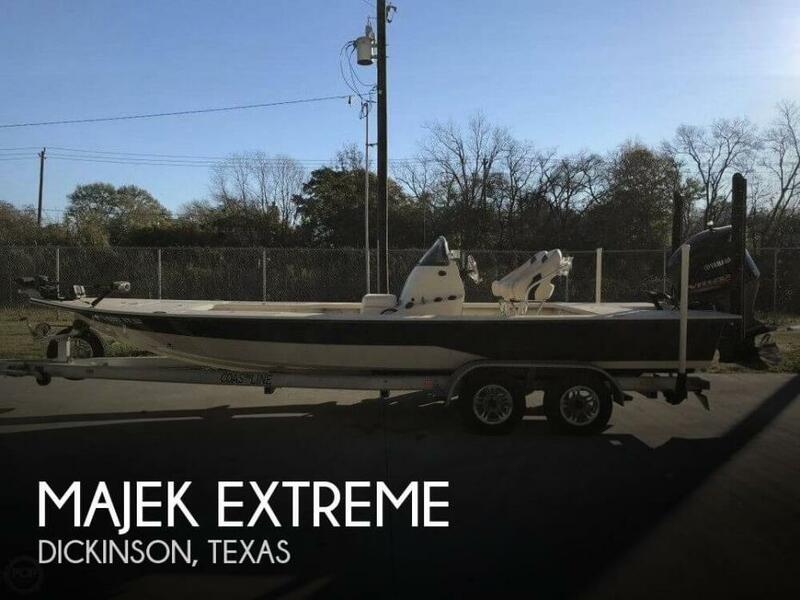 If you are in the market for a flats boat, look no further than this 2012 Majek 25 Extreme, just reduced to $49,500 (offers encouraged). This boat is located in Dickinson, Texas and is in good condition. She is also equipped with a Yamaha engine that has 383 hours. Reason for selling is no time for use. 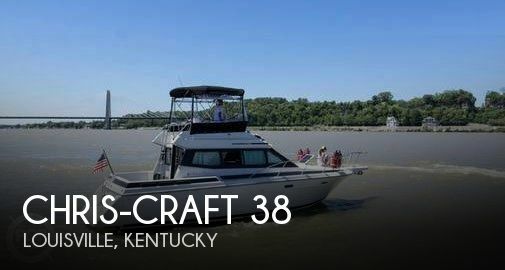 This Chris-Craft is in Great Condition. 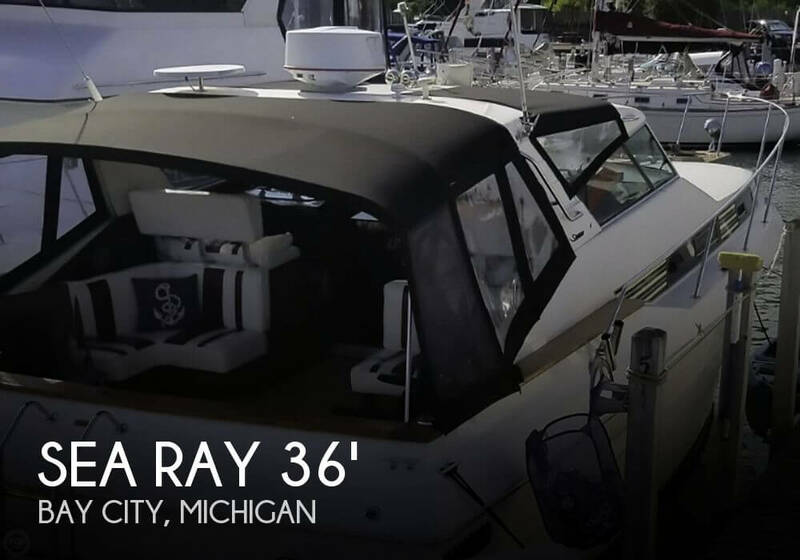 This boat is in great shape because the seller makes sure she is properly maintained. All visible surfaces including the upholstery, flooring, and helm are in good condition. The annual maintenance has just been done and ready to go for the up and coming season. This boat is priced very well for a deck boat this nice. Buy her while you can. Stock #168364 Great Vessel at A Great Price! Be Ready For The Water This Spirng! 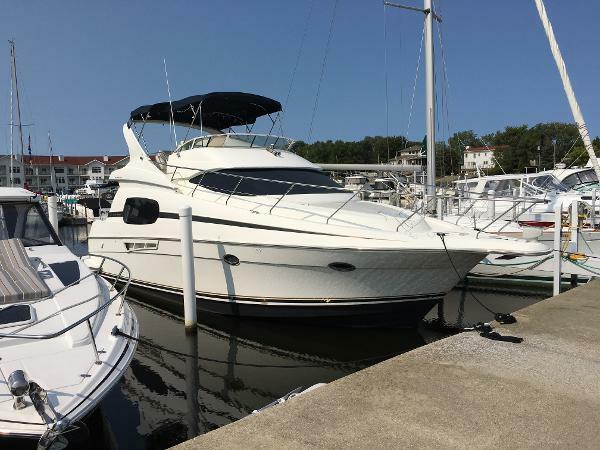 If you are in the market for a motoryacht, look no further than this 1989 Chris-Craft Amerosport Sedan 320, priced right at $27,800 (offers encouraged). This boat is located in Prospect, Kentucky and is in good condition. She is also equipped with twin Crusader engines. Reason for selling is not enough time to use the boat.. The owner is very knowledgeable on Bertrams having been an owner for 25 years. The boat appears to be repowered later in her life, but the owner is not sure of when. He installed a 94-gallon fuel tank and filled the original glass tanks with water for stability. The batteries are pulled to be maintained offsite. Overall the vessel is very clean - even the bilges. Stock #125607 Immaculate Bertram Express Repowered with dual Marine Power 454s! Knowledgable owner ready to discuss the boat Reason for selling is too many boats. The boat is in good working order, electronics are dated and the next owner will want to install new ones to meet there preference. Seller says the A/C pump is not working and not sure what is wrong with it. 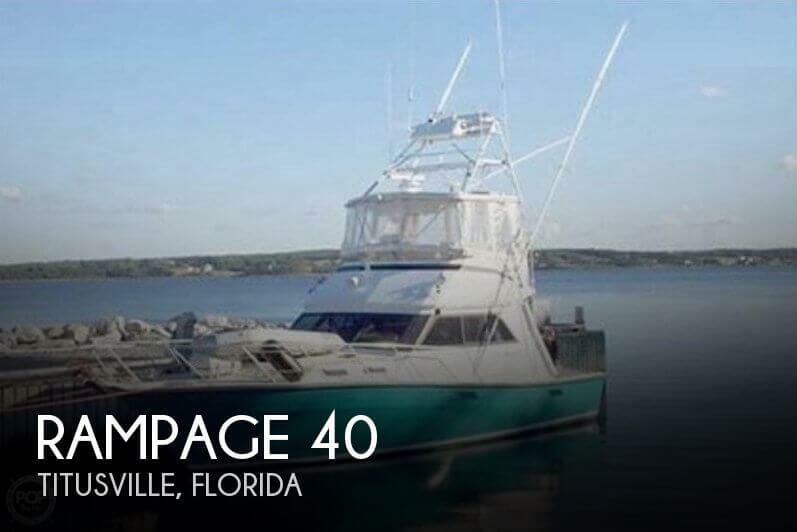 Stock #150540 Excellent Rampage 40 sportfish with low hours on rebuilt Detroit 6V92s! Excellent condition. Could not find any scratches in wood nor paint. Copper could use some polishing but it is not damaged in any way. Current owner does not know how to operate the steam engine so we are not sure of how boat runs. Trailer is in excellent condition as well. Stock #155931 Rare Collector's Item Steamboat! Built in the United Kingdom. Well cared for she is a One of a Kind!!! 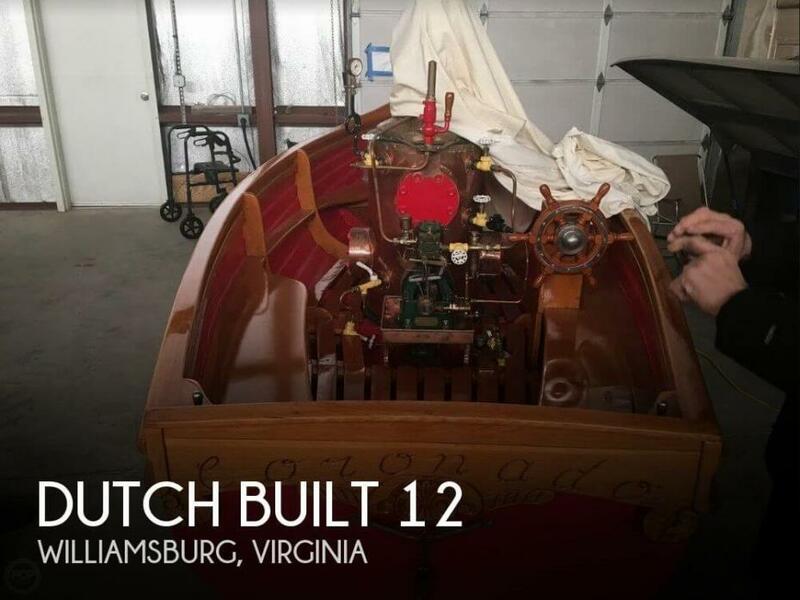 If you are in the market for an antique and classic boat, look no further than this 1983 Dutch Built 12, just reduced to $42,500 (offers encouraged). 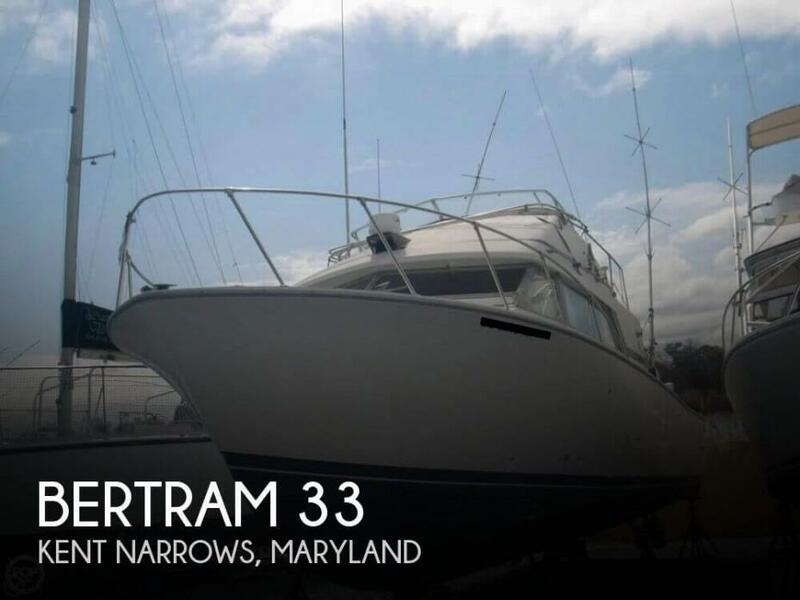 This boat is located in Williamsburg, Virginia and is in great condition. She is also equipped with a Custom engine. Current owner says their 1979 SEA RAY SRV360 EXPRESS CRUISER is in "Good/Very Good Overall Condition" As received from the current owner; - Always stored inside heated storage during the winter off-season - Serviced annually or as needed during the season - Regular oil and filter changes - Bottom paint should be touched up and/or painted, last painted 2015 - Auto-Pilot is currently not working-(Not sure what the issue is) - Full canvas enclosure with windows was custom made in 2016-2017 and is in like new condition..! - Has only been used in "FRESHWATER"..! Stock #165733 TWIN MERCRUISER 400 HP (each) INBOARDS..!! RADAR & GPS..!! A/C & HEAT..!! ONAN GENERATOR..!! NEW FULL CANVAS ENCLOSURE..!! T-TOPS..!! Reason for selling is change of interests.